Most English speakers have no idea what an ark is unless they have some vague childhood memory of the story of Noah’s Ark (the word derives from a Latin term for a box or chest). But since every Jew, even those who hardly ever go to synagogue, knows that synagogues have arks, the word is part and parcel of Jewish vocabulary. 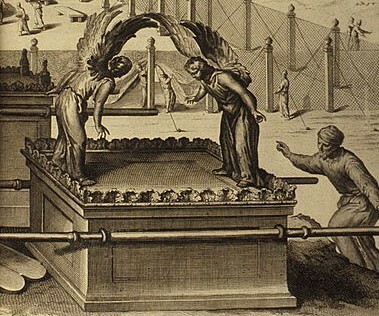 It derives from the original ark in the sanctuary about which so much is said in this week’s reading. It is one of the most fruitful subjects of midrashic commentary. The rabbis are interested in the details but even more in their lessons for life. For instance, when the command tells us to overlay the ark with pure gold inside and outside, we are told that this is how our own lives should be, tocho k’varo – the same outside and inside, not showing one face to the world and being quite different inside. The Lubavitcher Rebbe asks why we add an adjective when we refer to the ark. It is not just aron but aron kodesh, not merely “ark” but “holy ark”. This too has a lesson for human beings. 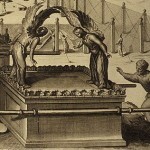 Like the ark we have a physical form, but like the ark we must be imbued with sanctity. The ark contains Torah scrolls; our human lives must bring Divine teaching into everything we are and do.